Smoking is something that has been around for a very long time now – so much so that it’s hard to recall a time when it wasn’t part of human’s lives. For a time cigarette smoking was quite popular, championed by many, a symbol of wealth and social status, as well as an indicator of social standing. For decades smoking went unchecked, not seen to be a health threat – until people began realizing that smoking actually could kill you. Smoking cigarettes affect health on not just a large scale, but also a smaller, more day to day kind of scale. In the large scale you might see people becoming afflicted by life-threatening respiratory illnesses such as cancer. In the small scale you’ll see people struggling with getting around and living their daily lives. Most who smoke on a regular basis will agree that they find themselves easily out of breath and in a generally poorer state of health. While smoking can be dreadful due to its negative health effects both in the large and small scale, it has taken a new form: vaping. With the intervention of technology and humanity’s self-caused need for puffing smoke, vaping was introduced to the world. It quickly became a phenomenon, somehow displacing traditional cigarettes for many who have made the switch over due to one reason or another. If you want to try vaping for the first time, you should read on to find out more about how e-cigarettes and vaping works, and how it can help you to kick the deadly habit of smoking cigarettes. Now, you’ll be able to see the real deal about the highly popular E-Cigarette. An E-Cigarette is a device that emulates the way a traditional cigarette works. It can release puffs of vaporized liquids which contain nicotine. This is healthier compared to the smoke of the average cigarette – especially the kinds that are much stronger. Since it’s a device, it operates on a battery and can be complicated at times if you don’t know what you are doing. However, if you like to tinker with stuff—devices, machines, and electronics, specifically—then an E-Cigarette is probably meant for you. ECigarettes come in various designs and sizes, though you’ll commonly see them in the form of tubes and pipes. An ECig has three primary parts: the Inhaler, the Atomizer, and the Battery. These parts can be assembled and disassembled at will so you can change things around and upgrade some parts if you wish. You can even buy custom-built E-Cigs and vaporizers, or build them yourself. Try a kit now to see what the hype is all about! Aside from being a healthier choice compared to Tobacco-based cigarettes available in the market, every E-Cigarette package comes with assortment of flavors to choose from. These flavors can add enjoyment to your smoking hobby. Some of the popular flavors are Vanilla, Cinnamon, Berries, Caramel, Mocha, and many more – including tobacco, which remains a very popular liquid many love. If you think that tobacco leaves a bad taste in your mouth, an E-Cigarette can make a difference. E-Cigarettes are also more environmentally-friendly. Since an E-Cig emits pure vapor, there will be no ashes and residue left after every session. When it comes to cost, vaping can save you lots of money and hassle, especially in the long run. You can buy an electronic cigarette in malls and specialized vaping outlets. In addition, there are dozens of manufacturers and sellers that can be found online. Purchasing vape pens and devices can be done with just few clicks of the mouse or a few taps of the finger these days, giving you much needed convenience especially if you operate on a busy schedule. 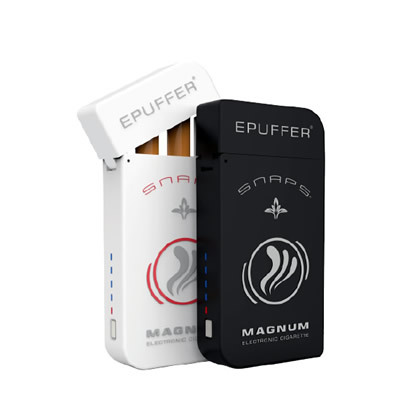 If you’re eager to buy one, ePuffer is one of the E-Cig providers that you can trust. Here we offer competitive prices, as well as variations on our product designs and accessories so there are many for you to choose from. ePuffer products come with a limited, one-year warranty. What is the Feeling When You Vape an E-Cig? While vaping has the same basic concept as tobacco-smoking, it’s a totally different experience if you really think about it. Imagine holding a unique device in your hand. As you inhale, the atomizer works rapidly, dispensing flavorful and delightfully scented vapors to your mouth, nose, and even down to your lungs. The vapor gives you a rich and unique feeling, and the flavors can calm your senses or work to your benefit depending on what kind of juice you get. Once you expel the vapor, you might be surprised with the smoke density. As you vape continuously, you’ll be able to tweak your puffing style to get the proper smoke density that you want. Vaping has proven excellent for those who like to play with smoke, doing tricks like rings and shapes. Why are E-Cigarettes Called Smokeless Cigarettes? Technically, you’re releasing vapor every time you vape. This is a different type of smoke compared to the kind released by traditional cigarettes. If you ask around, you’ll see that most people prefer the fruity aroma or delectable smells of E-Cig vapors. e-cigarette vapors are also called smokeless because there is no ignition, fire or incendiary factor that would cause the same kind of smoke which a traditional cigarette stick might give off. A disposable ECig can be your first step in vaping. Many people have gotten their start in the vaping world by purchasing disposable e-cigarettes, simply because it’s an easier and more financially sensible way to try things out. Disposable cigarettes are cheaper options and you can get them to try before you move to conventional, rechargeable vaporizers, which usually cost more money but are far more cost effective in the long run. Some disposable cigarettes can give you a rich, flavorful smoking experience, while others can give you a ‘limited’ feel. There are also dozens of flavors that you can try. Try disposables now if you would like to see how it would feel to vape and to know if it’s for you. Even if ECigs and vaporizers can be interchanged due to their highly-similar functions, they have key differences. An E-Cig still resembles the traditional cigarette in appearance; you’ll notice this as you buy disposable electronic cigarettes. A vaporizer, on the other hand, totally differs in design. Today’s popular vape mods have unique styles—they have longer and more colorful tubes. Plus, they can also be outfitted with various accessories. In a practical and scientific sense, ecigs, vape pen ( cigalikes ) work better compared to MODs because the vape liquid is just warmed to release the flavor. Latest MODs, RDA and other similar models dispense greater heat, burning the liquid. This is the reason why liquids in vape pens last longer. In terms of health, vaping is generally safer since less toxins can build up in your body. You can also choose the nicotine level of the juice or liquid you use. However, there are some instances when ECig cartridges became toxic to vapers. This has something to do with the liquids used – so make sure that the vaporizer manufacturer is a trusted source. Make sure that you purchase from reliable sources like ePuffer, who can be one of your sources for reliable, trusted, and harmless vaporizers. E-smoke can feel differently because it’s vapor and not ‘real’ smoke. It will also leave a different taste in mouth, depending on the flavor you are vaping. The density of the smoke can also be much thicker. People around you need not worry about second-hand smoke—it’s just flavored vapor, after all. Disposable electronic cigarettes have lower prices compared to vaporizers. A disposable E-Cig can only set you back by approximately $10. 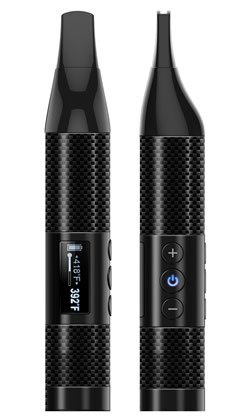 Rechargeable vaporizers can reach as high as $70 if you want full starting kits. There are also other models that you can buy for around $30-40. Keep searching and you’ll eventually find a rig that will fit your budget. Go ahead and try ePuffer’s massive selection of products to suit any budget. Warranty for E-Cigs depends on the manufacturers. Some can only offer money-back guarantees, while others have warranty periods for up to a year for parts and service. ePuffer offers you a 1-year limited warranty on its vaporizers and accessories. You may explore the warranty options and policies on our website if you would like to know more. E-Cig starter kits are great to help you begin your vaping journey. Most kits have free liquids to begin with, so you don’t have to buy separately. Other accessories can also be included, such as a pouch for your device, laces, and a USB charger for the batteries. Just keep in mind that starter kits have higher prices compared to stand-alone units – which is understandable considering what comes in the kits. ECigs can have varying nicotine levels, depending on the juice that you are using. There are juices or liquids that are 100% nicotine free. There are some that are low nicotine, medium nicotine, and finally high nicotine. High nicotine is usually the same kind of levels found in stronger cigarettes, and are suited for those who need to slowly decrease their intake. Buying replacement parts for your E-Cig unit is now easier—all thanks to the Internet. Just browse Google and you’ll see dozens of manufacturers and their available replacement parts. You need to make sure that the replacement parts are made from high-quality materials so they won’t be prone to damage. So if you want great quality, then check out ePuffer’s selection of replacement parts. Whether you’re after style or another extended function, ECig accessories can ramp up your vaping experience. Popular accessories are pouches, travel kits, leather cases, lanyards for convenience, and even stylish USB chargers. If you’re just starting out, it’s advisable to choose beginner kits that have lots of useful accessories. In this way, you’ll have greater immersion in vaping. Even in the vaping culture, there’s still a stigma when it comes to Chinese-made products. This can cause a few inconveniences for some, since a large percentage of electronic cigarettes and vaporizers come from China. According to some professionals and quality surveyors, some lower value vaporizers which are made in China certainly can affect the quality of your experience; However many of ePuffer’s units are manufactured in an ISO 13485 Medical grade Quality control factory, which sets them apart from the lesser competitors out there. Like all other products, quality should be your number one concern in choosing vaporizers. The best way that you can know about the quality of a unit is through research. On the internet, you can see hundreds of e-Cig and vaporizer reviews. These reviews can give you an idea of whether something is of good quality or not. More importantly, you’ll know how to check if a unit is made of substandard materials. 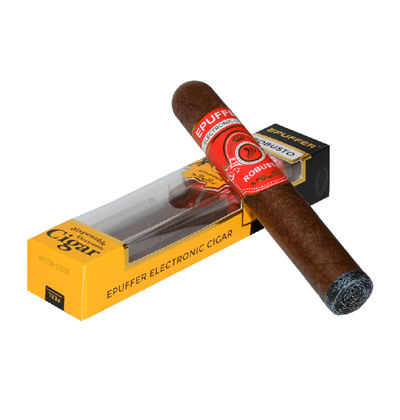 If you want a great vaping experience, you can rely on ePuffer eCigs. 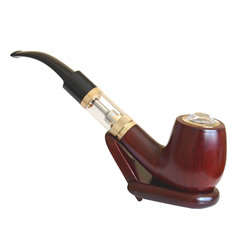 These electronic cigarettes are made from high-quality materials and they also have exquisite styles. Prices are also cut reasonably so you can juggle your choices without going beyond your allotted budget. Along with the available ePuffer starter kits, there are also tons of accessories to choose from. ePuffer’s disposables ecigs are cheap way to dip your feet into the pool, so to speak. Vaporizers are good for long-term usage, but if you’re not ready to commit, you can try cheaper disposables. The ECigs come in elegant white and black colors for as low as $7.95. You can also select from various flavors such as Appletini, Caramel Latte, Raspberry, Mint, and Strawberry Margarita. These innovative flavors can definitely give you the vaping hype. E-Cigarettes and vaporizers will probably have greater innovation strides in the coming years. Keep vaping today and explore the wonders of ECigarrettes!